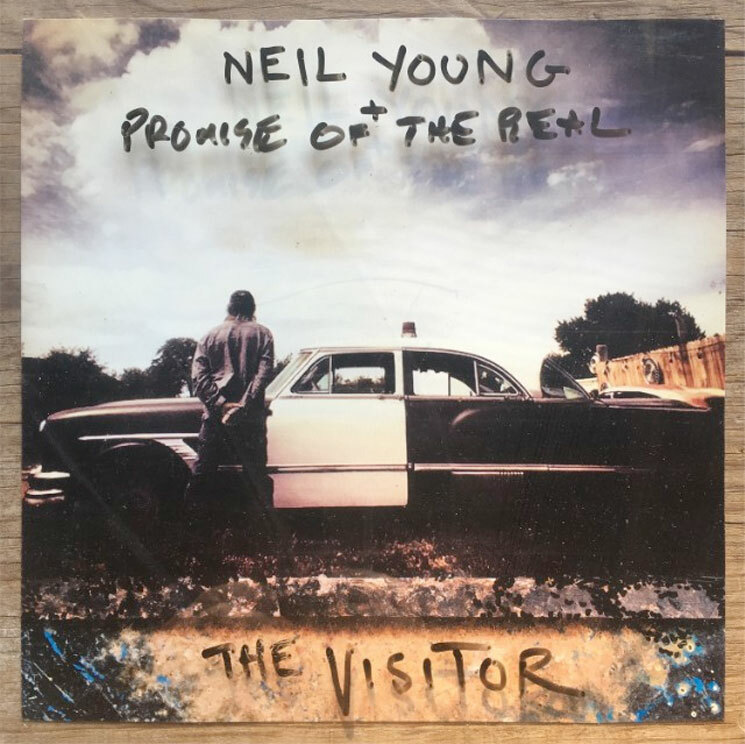 Neil Young Announces New Album 'The Visitor,' Shares "Already Great"
Never one to be quiet for long, Neil Young has announced a new album. Coming with the help of his backing band Promise of the Real, the new LP is called The Visitor. The album is due out on December 1 via Reprise. For a taste of things to come right now, though, you can hear the newly shared song "Already Great," which is below the 10-song tracklist for The Visitor. That's the record's artwork above. The new album will follow a pair of albums Young has done with Promise of the Real: 2016's Earth and 2015's The Monsanto Years. Earlier this year, Young also unearthed his lost 1976 album Hitchhiker.